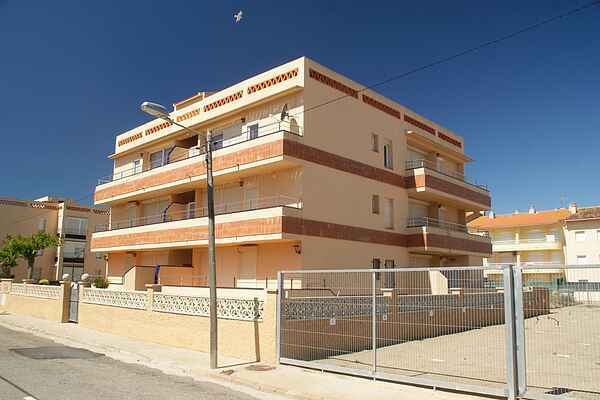 55m2 apartment located in a resort with communal pool and garden just 160 meters from the beach. It has two bedrooms one with double bed and the other with 2 single beds, bathroom with shower, fully equipped kitchen, living room with sofa bed and a balcony of 8 m2. Pets not allowed. Free Wifi.